It was great pleasure this month to be invited to internationally renowned artists The Singh Twins's Symposium at Wolverhampton Art Gallery. 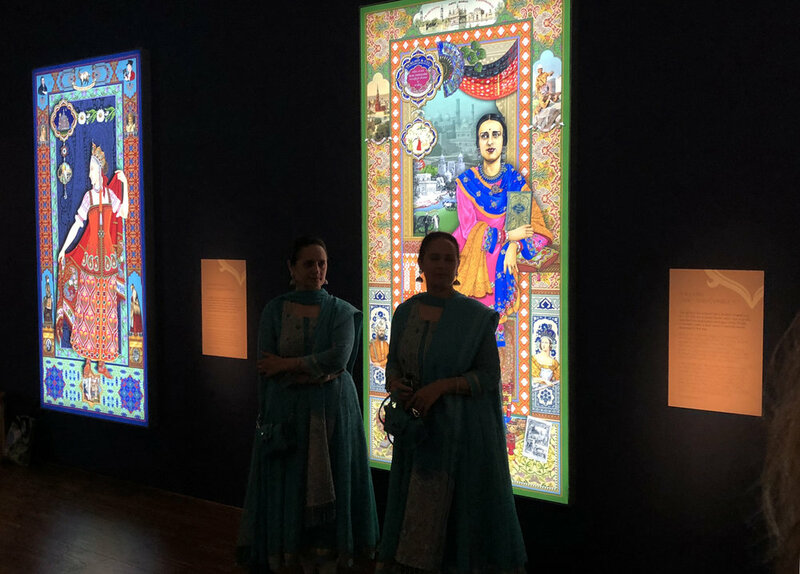 Anand was asked to respond to their 'Slaves of Fashion' exhibition & specifically their new works which were created by the Singh Twins. It was great to reflect and therefore talk through the similar theme of Migration, History, Empire, Punjabis, Colonialism in the work of the Apna Heritage Archive. Thanks to Wolverhampton Uni and Creative Black Country for their involvement in bringing these amazing artists to this City of Sanctuary for Punjabis! Such a pleasure and honour to be here!! BCVA director Anand Chhabra with artists Amrit and Rabindra 'The Singh Twins' @ W-ton Gallery. Amrit and Rabindra 'The Singh Twins' present their "The Slaves of Fashion' exhibition, W-ton Art Gallery.